After a Chinese couple was abducted from Quetta's Jinnah Town, in Balochistan Province of Pakistan on 24 may, the state run Global Times said that the incident highlights the risks along the China Pakistan Economic Corridor (CPEC). 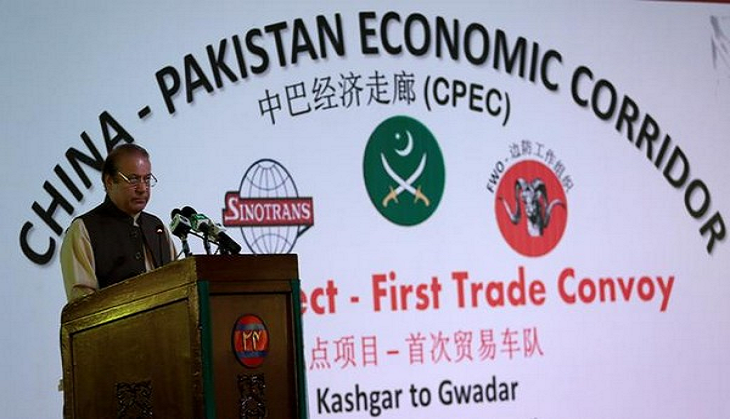 The restive region of Balochistan is in the center of the CPEC which is expected to link China's Xinjiang Uyghur Autonomous Region to the Pakistani port of Gwadar on the southern coast. The Global Times said in an article, that Chinese people have also been targeted occasionally by the Islamic militants in Pakistan, despite the friendly relations between the two countries. Last year, a Chinese engineer was injured in a bomb attack in southern Pakistan and a separatist group, the Sindhudesh Revolutionary Army, claimed responsibility for the attack, saying they were targeting the CPEC. The Chinese presence in Pakistan has increased in the past few years due to CPEC and the Pakistani government has deployed 15,000 military personnel to protect projects under the economic corridor. China has also urged Pakistan to intensify its efforts in protecting the safety of Chinese personnel in the nation. Pakistan is betting big on the economic corridor which will be a major boost to its future development and will help eliminate the challenges posed by political extremists, radicals and jihadists in the country. But these challenges have posed risks to this ongoing project that require attention and solutions from both sides, it said. It noted that terrorism, unstable domestic politics, and disagreement among various parties within Pakistan about how CPEC transportation routes should be mapped out are prominent challenges to the implementation of the CPEC. Meanwhile, China said it will spare no effort to rescue its kidnapped citizens while adding that it will also step up efforts to safeguard the security of Chinese citizens and agencies in Pakistan. Cold Pressed Juice: The Perfect Breakfast Partner! READ NEXT >> Cold Pressed Juice: The Perfect Breakfast Partner!